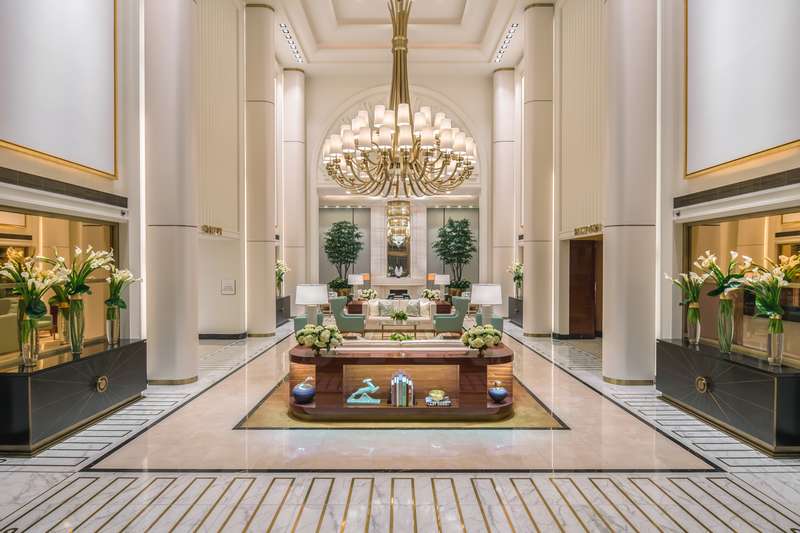 Waldorf Astoria Beverly Hills captures timeless glamour and Southern California luxury. Drawing inspiration from the natural surroundings that make Los Angeles so inviting and luxurious, our new hotel provides a remarkable urban respite in the heart of Beverly Hills. 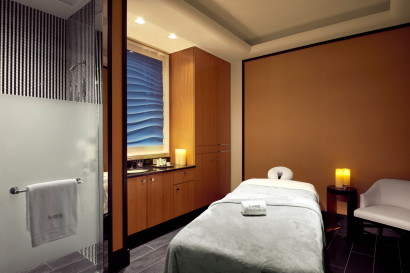 Discover the epitome of the finest California lifestyle with unparalleled accommodations and amenities, including our six treatment room La Prairie Spa, exclusive dining at Jean-Georges Beverly Hills, and the rooftop sun deck with 360 degree views of Beverly Hills. Jean-Georges Beverly Hills is lead by acclaimed Michelin-star French chef Jean-Georges Vongerichten. Jean-Georges Beverly Hills offers an indoor/outdoor atmosphere that is beyond compare, while the spa allows guests to experience the luxury of La Prairie treatments and lush products. Waldorf Astoria Beverly Hills features 170 spacious guest rooms, including 51 suites, each luxuriously styled by interior design legend Pierre-Yves Rochon. Italian marble entryways lead you into the bright, stylish living space, which boasts floor-to-ceiling windows and private terrace. 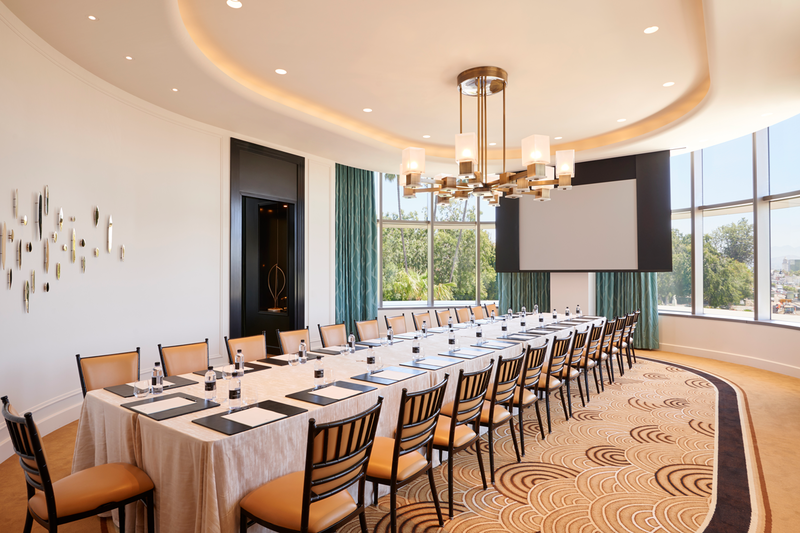 Our Crestron™ smart home system puts room service, lighting, drapes, and entertainment a mere tap away through our companion app on your in-room iPad. Guests will appreciate the fiber optic internet with unlimited bandwidth, while special touches like DVR, and in-room espresso machines create an inviting setting to unwind at the end of the day. 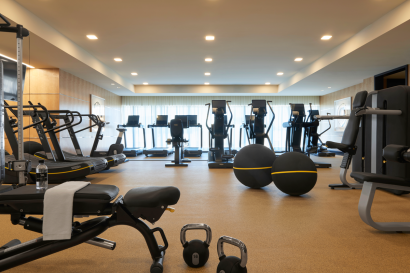 Enjoy convenience and elegance on its grandest scale. 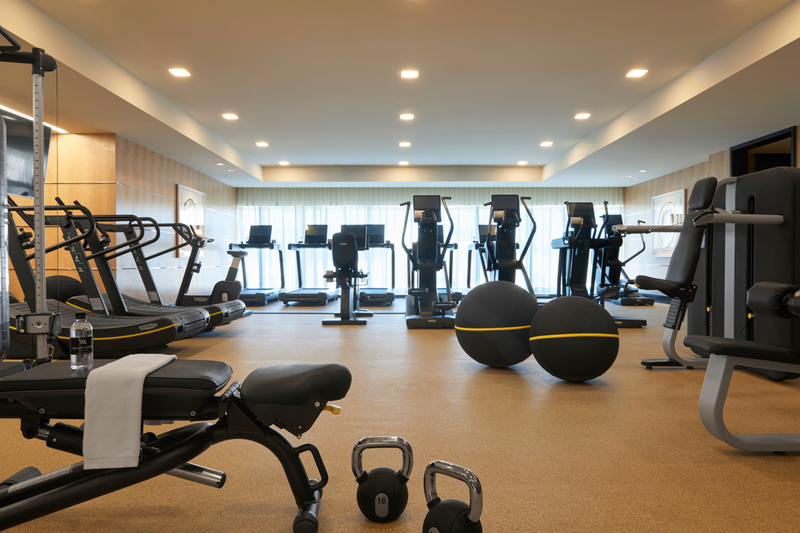 Superior and Deluxe guest rooms include two plush queen beds or a luxury king bed. 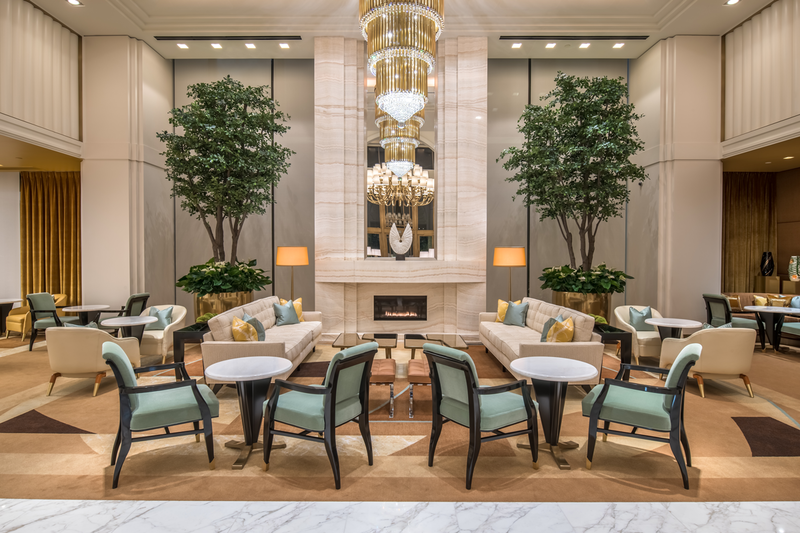 Rooms are adorned in Italian marble and custom accents, boasting floor-to-ceiling windows and a spacious private terrace. Outfitted with a fully stocked, top shelf minibar and custom glassware, every detail exemplifies the extraordinary, down to the luxury Ferragamo amenities in your bathroom. 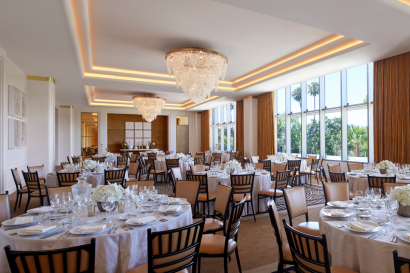 Guest enjoy views of the city lights or lush palm trees. 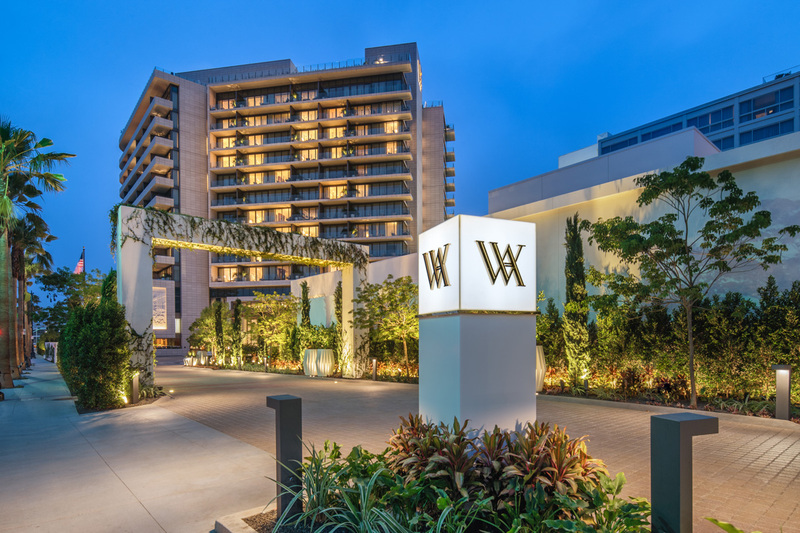 Waldorf Astoria Beverly Hills offers 51 luxury suites. 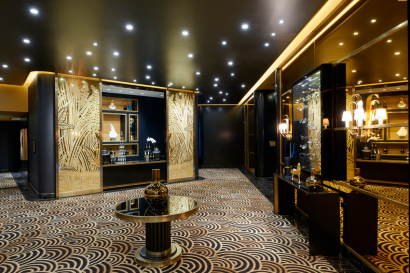 Each room is design by legend Pierre-Yves Rochon. 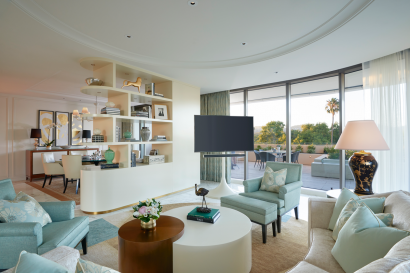 Suites are uniquely designed with over-sized room features, state-of-the-art technology, floor-to-ceiling windows and spacious private balconies. Luxuriously styled with elegant touches like warm white stone, rich wood and picture-perfect views of Beverly Hills. In this sky high oasis, you’ll have all of Beverly Hills at your feet. The Penthouse luxury suites include the Waldorf, the Governor, and the Presidential. Wake up in your California king bed to sunrises through floor-to-ceiling windows, and a vast private terrace. 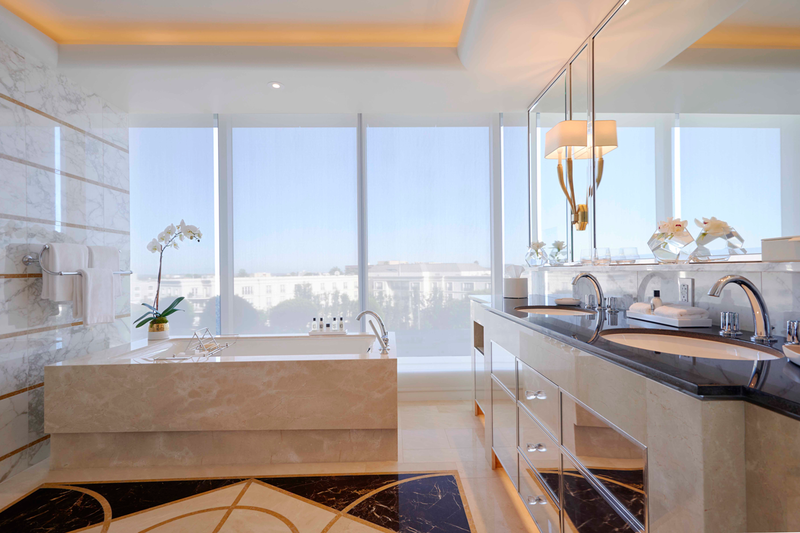 The Presidential Suite offers luxury living, with Noir Saint Laurent marble, floor-to-ceiling windows, private terrace, private spa, and personal home theater. • The Crestron™ smart home system is like a personal assistant. Room service, lighting, music and home theater system our app takes care of everything you need. • These suites start at 1,263 square feet, with the Presidential suite boasting 3,215 square feet with a 1,459 square foot terrace. 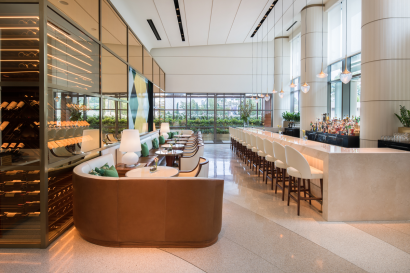 • Jean-Georges Beverly Hills: Named for award-winning chef Jean-Georges Vongerichten, this fine dining restaurant specializes in French-American cuisine prepared with organic and locally sourced ingredients. 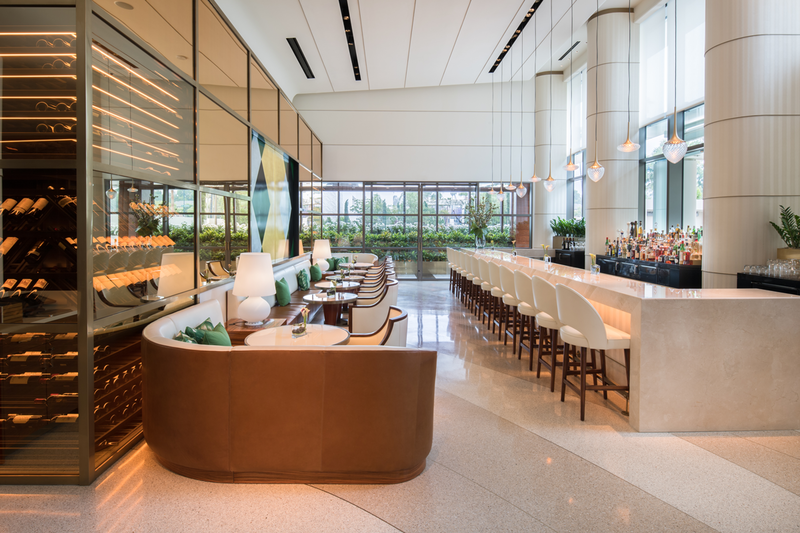 The world-class menu includes South American flavors and European classics for a unique farm-to-table experience. • The Rooftop by JG: Enjoy memorable lunches and dinners in our exceptional rooftop restaurant, The Rooftop by JG. 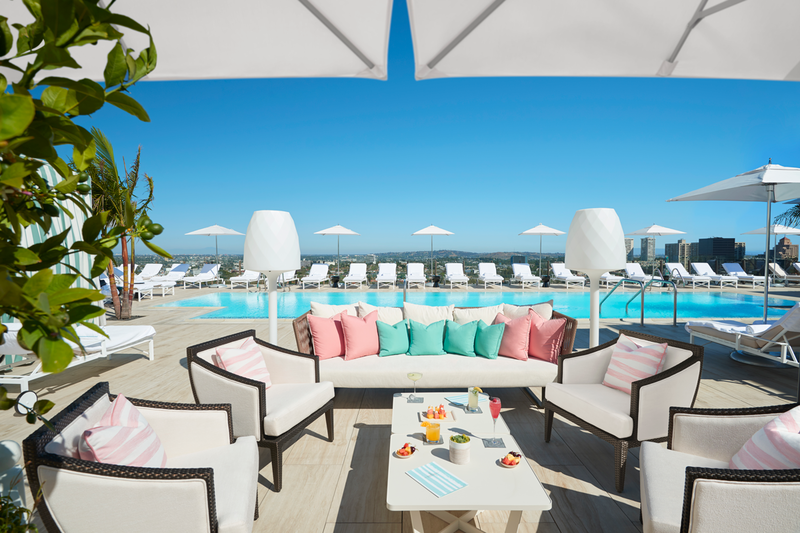 This casual restaurant serves a selection of American classics along with 360-degree views of the glamorous Beverly Hills city skyline. • Lobby Lounge: A perfect place to have a quick bite or relaxed meeting, the beautiful Lobby Lounge is the heart of the Waldorf Astoria Beverly Hills, a welcoming, elegant space created for casual dining in an Art Deco wonderland. There’s always something delicious to be had in the Lobby Lounge. • Jean-Georges Beverly Hills Bar: The cocktail lounge is the perfect accompaniment to our signature restaurant Jean-Georges Beverly Hills. Set just next door, slip into this stylish bar any time of day for your favorite appetizers and craft cocktails.